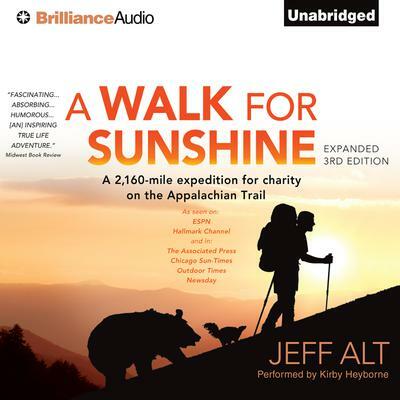 Jeff Alt takes you along every step of his 2,160-mile Appalachian Trail adventure. This entertaining journey includes bears, bugs, blisters, captivating characters, skunk bedmates, and hilarious food cravings. Alt walked more than five million steps in tribute to his brother, who has cerebral palsy and lives in a home called Sunshine. This trail adventure has inspired an annual event that has raised more than $200,000 for Sunshine. It includes hiking tips for the whole family. Walk alongside Alt and experience the joy of turning dreams into goals and then achieving them. His lessons from the trail celebrate family, stewardship of the earth, good health, and the American spirit.